When the UFC decided to implement the women’s flyweight division in 2017, the response was a sigh of relief from many fighters. Too many of them were either too small to compete at 135 pounds or struggle mightily to make 115-pound weight limit. The biggest winner of them all in this scenario was Valentina Shevchenko. The “Bullet”, who challenges Nicco Montano for the flyweight championship at UFC 228 had been considered a natural 125-pounder when she made her UFC debut at the end of 2015. But, the company didn’t have the division and she was forced to compete at bantamweight. Luckily for Shevchenko, her natural skills helped offset the disadvantages of being the smaller woman. She is a 17-time Muay Thai and K1 world champion. 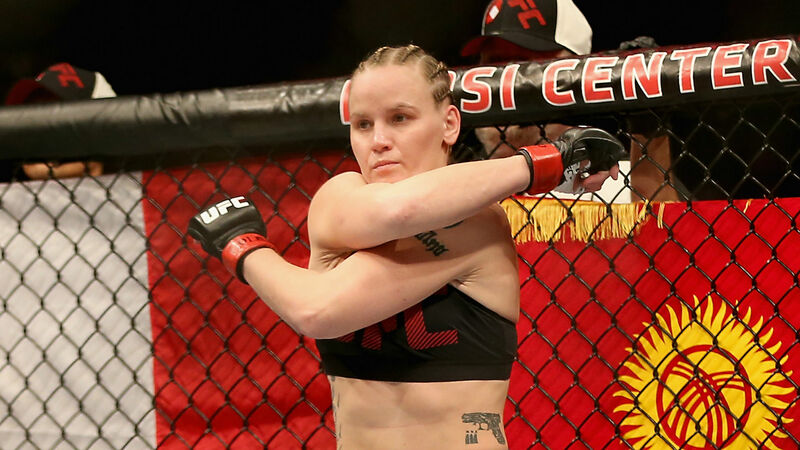 Combined with her MMA record, Shevchenko is a staggering 71-5. She just wished the UFC had started the latest weight classes sooner instead of later. Right after the UFC announced in July that Shevchenko would be facing Montano, people felt this would be a walk in the park for her because of what she’s done in her combat sports career. The odds have reflected that sentiment as sportsbookreview.com installed Shevchenko as the largest betting favorite for a UFC title challenger at -2344. While the 30-year-old finds it flattering so many think she’s going to walk away with the belt, she remains headstrong on what lies ahead. Throughout the entire build to UFC 228 and as late as Wednesday, Shevchenko’s (15-3) has questioned whether Montano will actually show up. Now that we are less than 24 hours away from weigh-ins, Shevchenko is coy about the matter. Ultimately, she wants Montano to do what is required of and make the walk to the cage. Going into UFC 228, Shevchenko feels she’s just as strong mentally and physically at flyweight than she ever was as a bantamweight. She also feels more comfortable facing Montano because, unlike her fight with 135-pound champion Amanda Nunes at UFC 215, they will be the same size. How old is Graeme Swann, when did the Strictly star and former England cricket spinner retire and is he married?